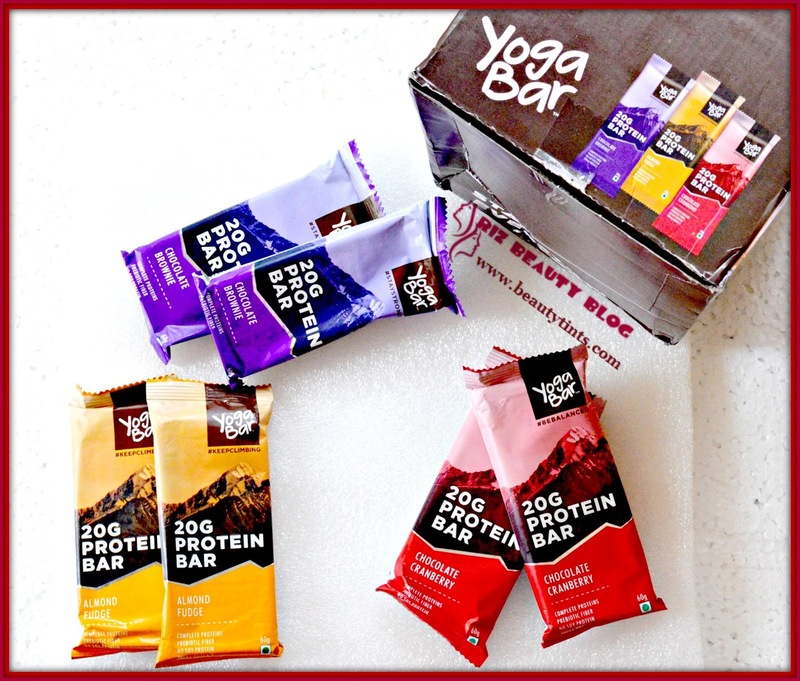 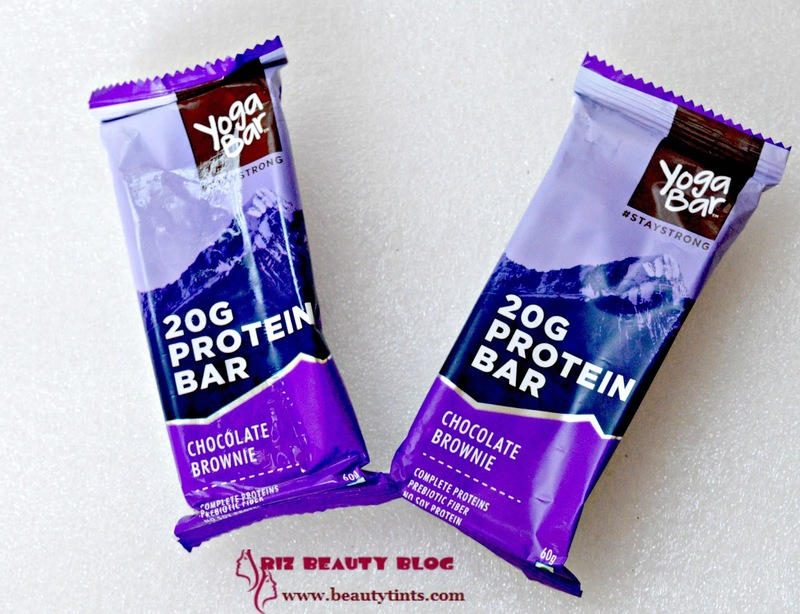 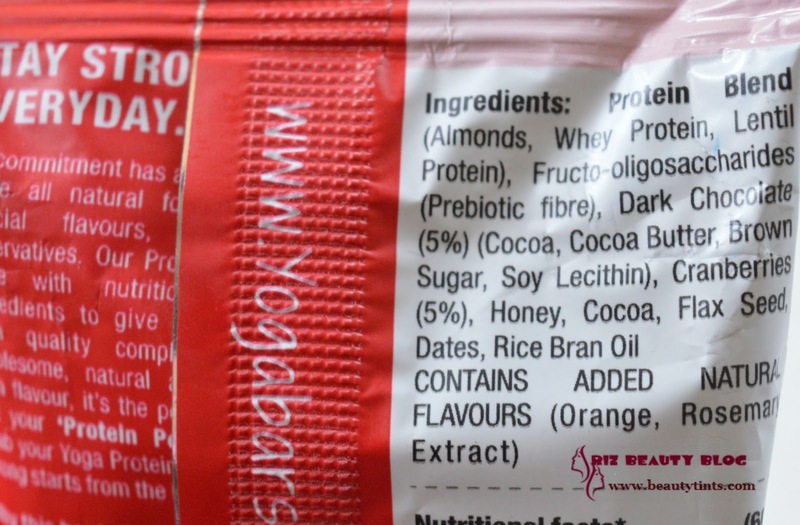 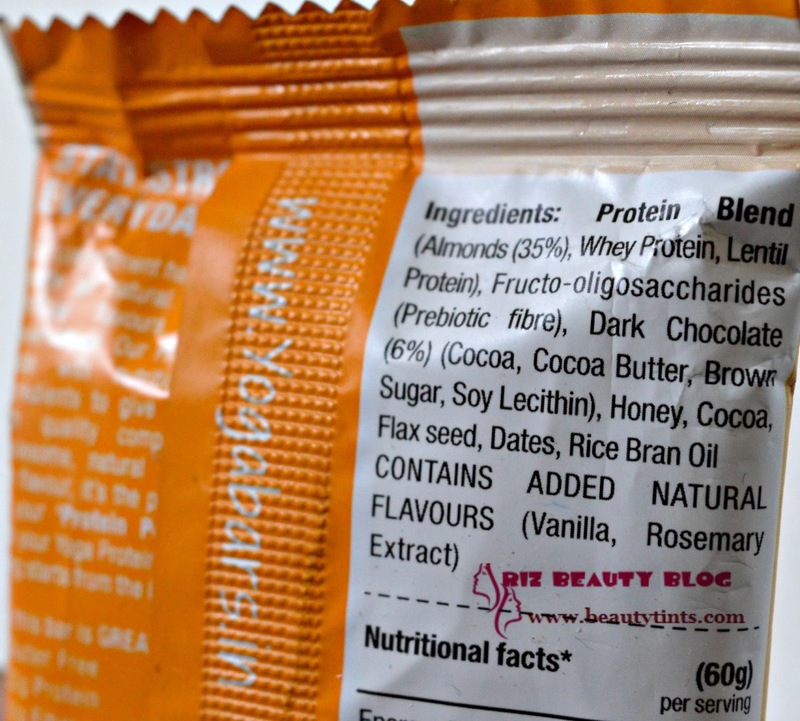 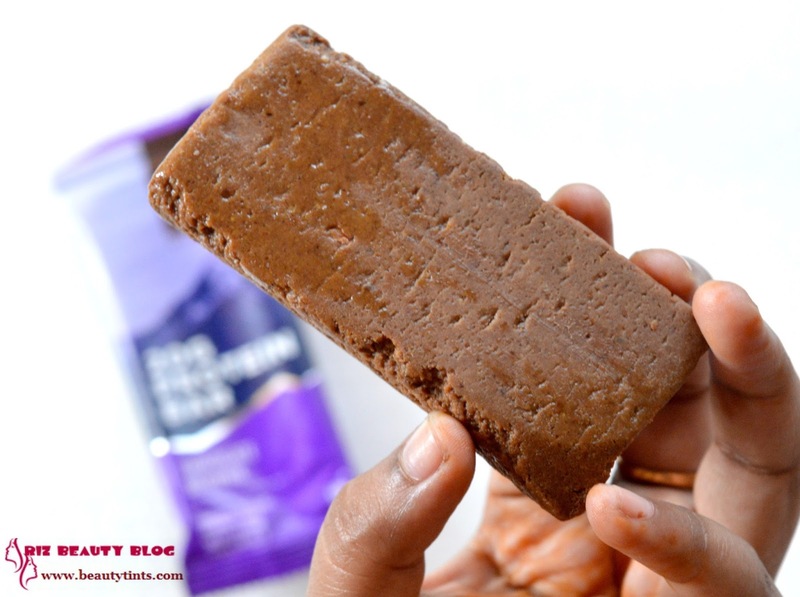 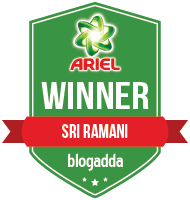 Sriz Beauty Blog: Yoga Bar-High Quality Protein Bars Review!!! I always have an issue with my weight gain from past 6-7 years and I used to do walking,jogging,yoga before but these days I have changed my workout schedule and have been doing Aerobics,cycling,Pilates,Strength training also along with Walking and yoga,which made my life much easier than it was before.I have also updated my diet and have been following High Protein Low Carbohydrate Diet these days,which is helping me to lose weight quickly than before.But taking the same diet every day is just boring and it becomes hard to stick to it.So,its always better to add new recipes to our diet.But it is always an issue to stick to the diet,if you are working or when you are on the go or during vacations.But now-a-days there are various options in the market with the tag 'Diet Foods' or 'Low Calorie Foods' or 'Sugar Free Snacks' etc., But we need to check the ingredient list and calorie information like sugar content,cholesterol etc., before consuming them.If you have been following me on Snapchat,then you would have already know that I love trying diffrent protein bars.Recently I came across 'Yoga Bar' protein bars,which are all natural,high quality protein bars. 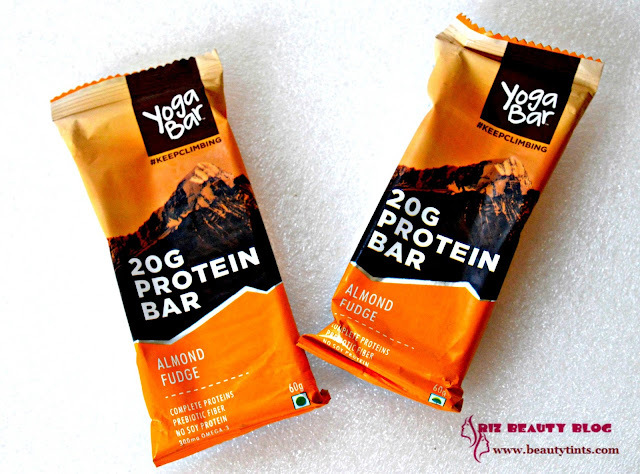 They also have snack bars in many variants.Read on to know how they are superior over other protein bars in the market! 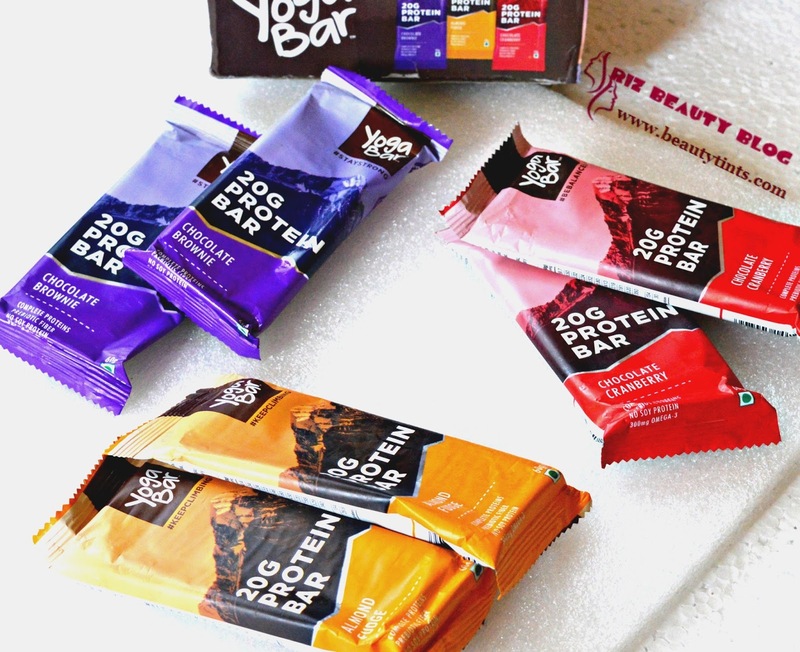 Yoga Bars-High Quality Protein Bars Reviews!!! 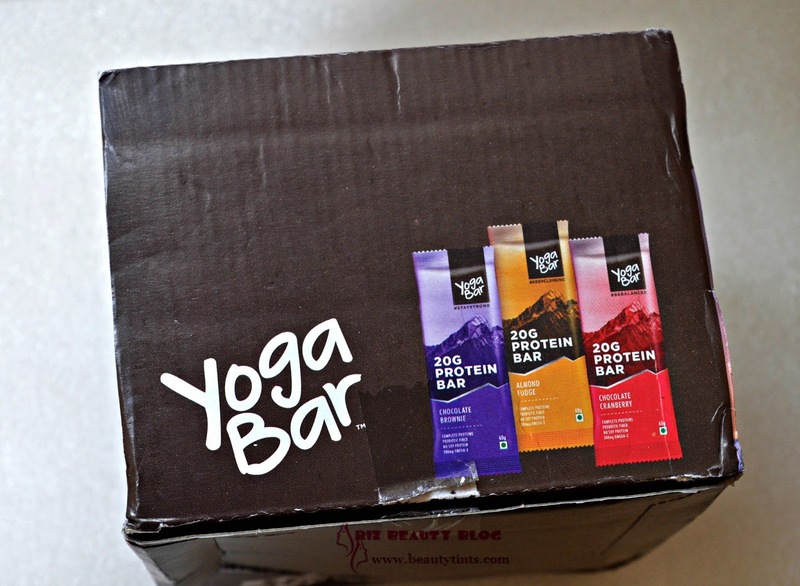 What The Brand 'Yoga Bar' says : Good food provides health, contentment, energy, and is a delight to the senses. 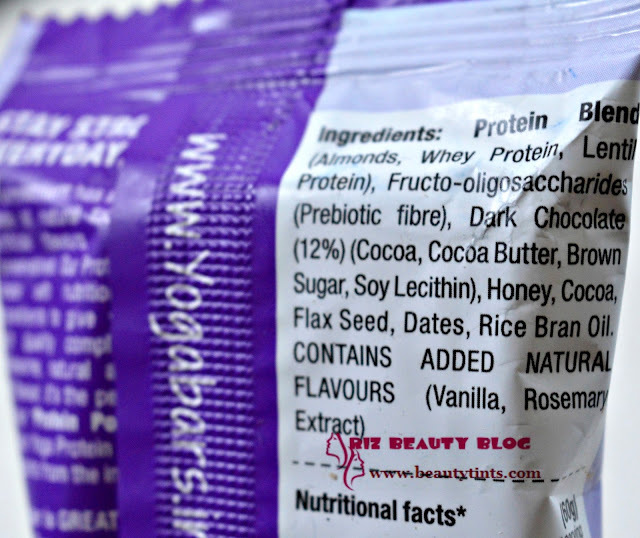 Our commitment has always been to create all natural foods with no artificial flavours, colours or preservatives. Over the past two years we have learnt a lot about food - innovating, creating and sharing food that make a difference. Inspired by all that good food and nutrition brings us – health, positive energy and with it endless possibilities, we created the Yogabar. 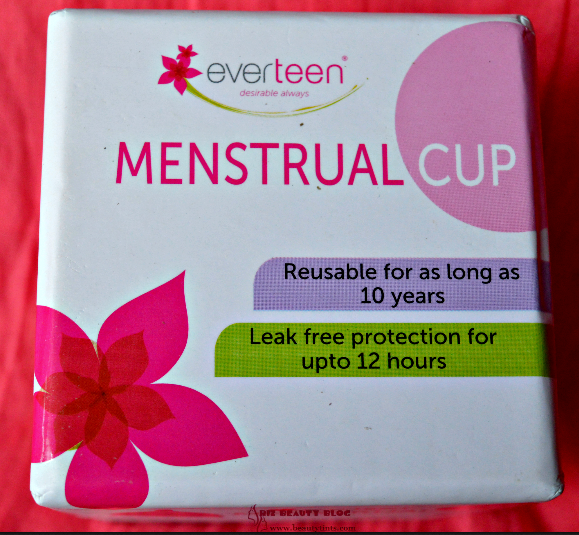 Ours is a young company and we are just starting on our journey. 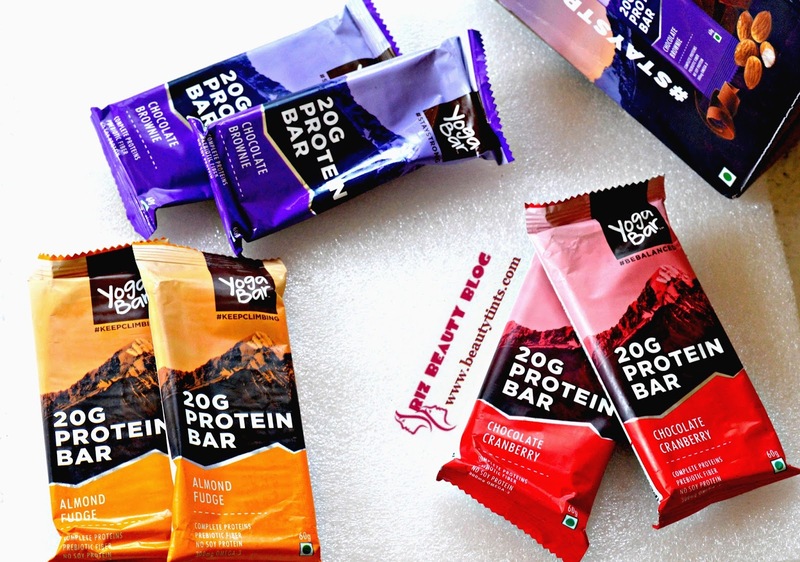 We are all and will always be about giving you the Choice to Eat Healthy.You can know more about them by visiting their Website and Facebook page! 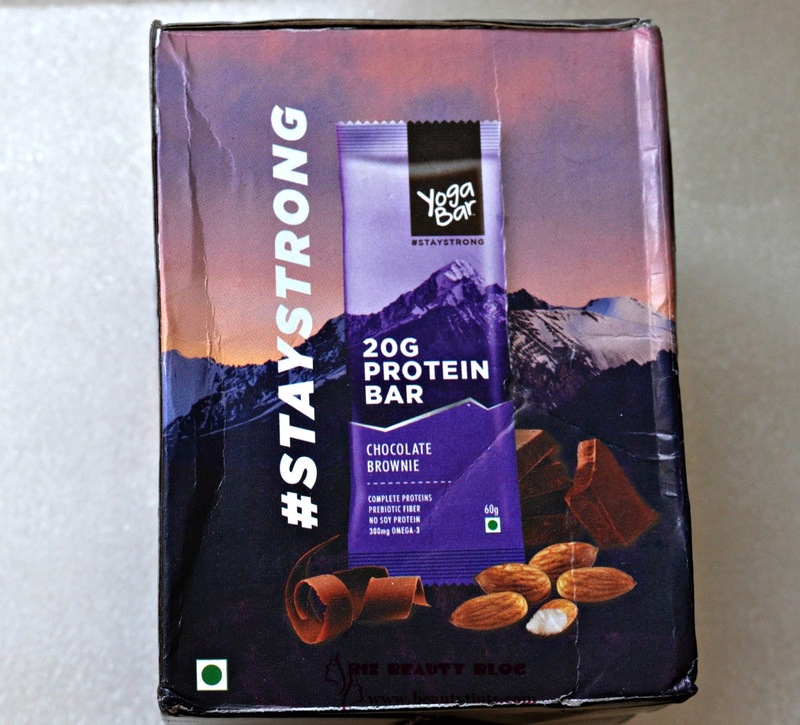 My View On the Product : Today I am reviewing their Protein Variety Bars pack,which contains 6 ( 3 variants x 2 each) bars of 60 gm each.The box is priced at INR 699/- and is available from their website here and on Amazon here. This box contains 3 variants like Chocolate Brownie,Almond Fudge and Chocolate Cranberry! 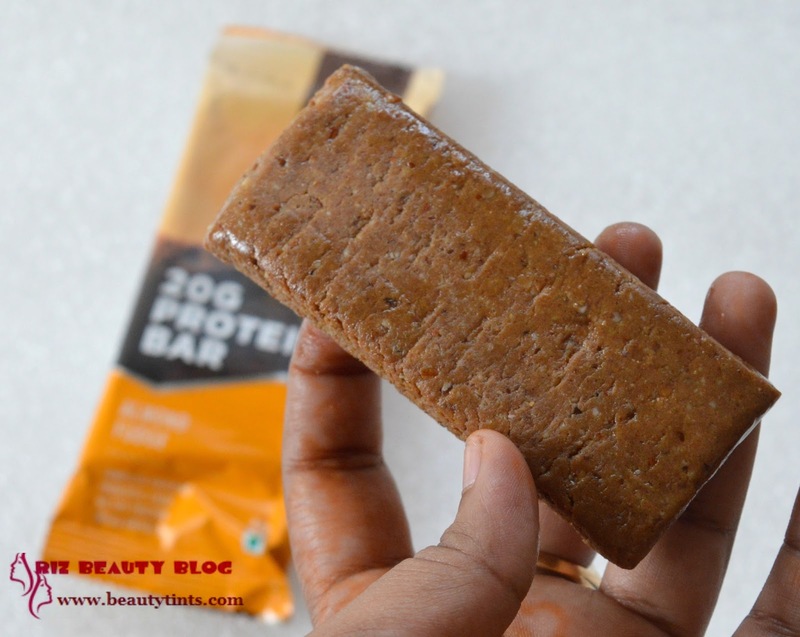 1) Chocolate Brownie : This is my first favorite variant and this is made from natural and quality ingredients like protein blend of Almonds,Whey & lentils along with prebiotic fiber,dark chocolate,honey,cocoa,flax seeds,dates,rice bran oil and natural flavors.This bar contains 20 gm of protein,10 gm of dietary fiber along with 268 kilo calories.As the name suggest ,it tastes very similar to a chocolate brownie and the only difference is this Yogabar is guilt free where as our chocolate brownie is filled with lots of sugar and dairy products. 2) Almond Fudge : This is my second favorite variant and this is also made from natural and quality ingredients like protein blend of Almonds (35%),Whey & lentils along with pre-biotic fiber,dark chocolate,honey,cocoa,flax seeds,dates,rice bran oil and natural flavors.This bar contains 21.6 gm of protein,10 gm of dietary fiber along with 260 kilo calories.This reminds me of grounded almond ladoo,which my mom used to prepare during my childhood. 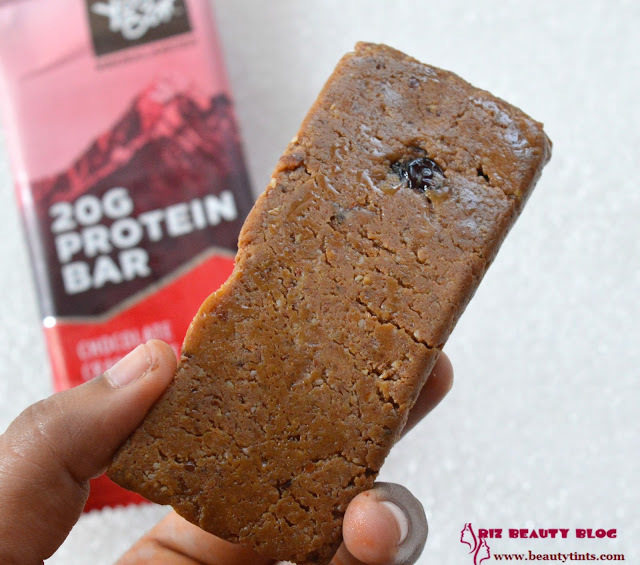 3) Chocolate Cranberry : This is my last favorite variant and this is also made from natural and quality ingredients like protein blend of Almonds,Whey & lentils along with pre-biotic fiber,dark chocolate,honey,cranberries,cocoa,flax seeds,dates,rice bran oil and natural flavors.This bar contains 21.8 gm of protein,10 gm of dietary fiber along with 258 kilo calories.This has orange peel taste and its quite yummy! Though all these 3 bars differ in the taste but they all contain 20 gm of high quality protein in the form of protein blend containing a mix of Whey protein,Almonds and lentils,10 gm of dietary fiber,15 % of RDA calcium,300 mg of omega fatty acids and they are rich in antioxidants,low in sodium,which makes them superior over other proteins bars which contain one or other form of protein but not a blend.of all 3 like these Yoga bars. They also contain honey,flax seeds,dates in them.All the bars are made of 100% natural ingredients,they are gluten free and doesn't contain Soy proteins,Artificial sweeteners,artificial colors or flavors,preservatives.They are completely natural and can be taken as a protein supplement post workout or in place of breakfast (though not daily but when times when you miss breakfast).They are pricey but as they contain high quality complete protein in them,they are all worth.These are available easily on most online e-commerce sites.They are easy to carry and so you can have it anywhere and anytime.The best thing about these bars is that they are not only healthy but also super tasty and they make us feel fuller for long time,so that we do not feel hungry for a long time. 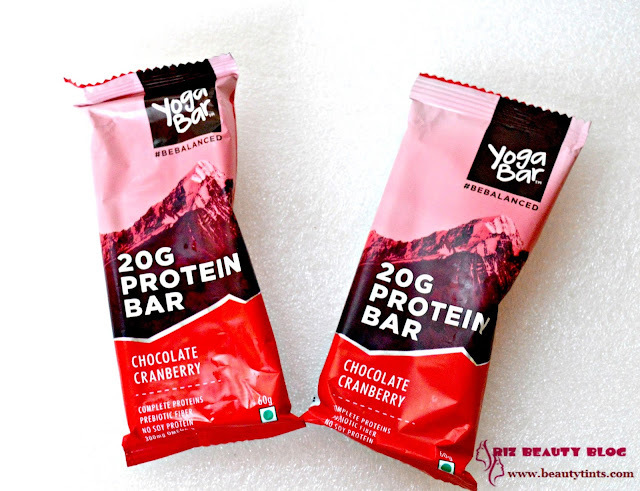 Conclusion : These Protein Bars from 'Yoga Bar' are all natural and are a tasty way to get your daily intake of protein easily!They provide you with energy at any time in a day especially after a workout!